Community healthcare EHR company CPSI will acquire patient engagement vendor Get Real Health for $11 million. The FTC sues Surescripts for allegedly monopolizing the e-prescribing market, specifically in the areas of routing and eligibility. Online Chinese healthcare company Tencent Trusted Doctors raises $250 million, bringing its valuation to $1 billion. FDA approval will help move Current Health’s continuous monitoring device from the hospital setting into patient homes. David Wenger is founder and CEO of Bridge Connector of Nashville, TN. I’m the founder and CEO of Bridge Connector. Bridge Connector is an integration platform as a service with a data-driven workflow automation solution. It is focused on solving the business workflow aspect of healthcare and creating interoperability between systems and ease of communication without the need for code. It is a truly scalable platform that provides an affordable solution to any sized healthcare organization so that they can streamline their business use case workflows. It’s unusual for someone with no healthcare or IT background to be diving deep into the technical aspects of interoperability. How did that come about? I grew up around the medical field. My dad’s a doctor, a businessman, and an entrepreneur. I watched him my entire life and learned from him about healthcare and why it’s broken. I’m an entrepreneur. I started a marketing and advertising agency about six years ago that focused on branding, marketing, web development, and cool tasks like that. It focused on helping smaller healthcare systems, drug rehabs, and behavioral health facilities with marketing to get customers in the door as well as keep customers or patients. I learned healthcare through that. I saw a really big problem with one of my drug rehab clients. We were hired to integrate their Salesforce instance with their electronic medical record software. They were getting 150 phone calls a day and had a full team of people in their office typing the information manually from one system to the other. It was a 30- to 45-minute process per patient. I said, we can build this integration, and it took about six months. After we built that first integration, I thought that there must be a faster way to do this, where any of these drug rehabs or smaller healthcare organizations could connect System A to System B without having a full team of people trying to build the integration on a custom basis or manually typing the information back and forth. My father owns a surgical center under Envision Healthcare, which is a very large company. I spoke to people at the company and learned that this is a problem across all of their surgical centers and doctor’s offices. They have no way to get the data from the doctor’s office to the surgical center, or vice versa, without having to manually type the information back and forth. I decided to do more research and build a proof of concept. I hired some smart developers and bootstrapped the whole thing out of my own pocket with some help from some friends and family. We built and deployed a fully-functioning, working prototype. We partnered with companies like Salesforce, for example, in taking this to the masses, focusing on smaller businesses at first and scaling it from there. Systems can talk to each other in many ways — FHIR, APIs, app stores, and traditional vendor interfaces. What are the technical and business challenges in solving the interoperability problem? There’s a lot of standards out there, and a lot of companies that are stuck with the systems that they have. The solutions that are coming out are around API management or coding to specific APIs to build integration, so that developers have a tool they can easily use. We’ve taken a different approach. We have focused on meeting our customer at the spec their core system uses, whether it’s FHIR, HL7, API REST, SOAP, or a on-premise server solution. We’ve created a way to connect to any type of standard and not make our customer have to code to any of those specs. We do it for them. Our platform is capable of digesting any of the types of information into one to make it a truly functioning integration. A solution like ours can go to the masses and be deployed to any type of healthcare organization, regardless of what system they’re using. As long as there’s a way to connect to that back-end system of truth or the other systems of truth, we have a way to do it, regardless of what standard they’re using. What developments have you seen in making sure the information being exchanged makes sense to both sides and that it is inserted into the workflow at a point that makes it actionable instead of just making it available for a manual lookup? We are focused on solving the business problems of healthcare. The problem in healthcare isn’t just clinical data. It isn’t just sending data back and forth. The problem is automating the business problem of healthcare. What drives physicians, what drives hospital organizations, isn’t just the money and patient care, but it’s automating the workflow so their daily processes can be as smooth as possible. The government is saying to focus on interoperability. They’re trying to put a focus around it and develop it, making sure EMR companies or other vendors have fully-functioning APIs or FHIR standards. 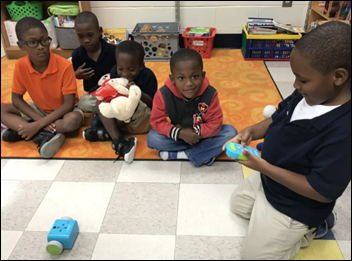 They are focused on trying to solve this problem. Companies like Bridge Connector and some of the other players out there are focused on building a standard that any sized system can easily connect to. How do you work with traditionally low-technology, small-scale providers such as long-term care facilities and small medical practices? 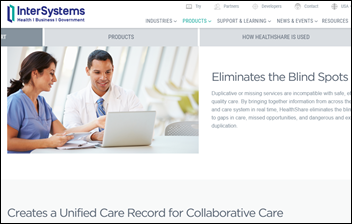 We’ve partnered with the EHR companies in the long-term, post-acute care space. 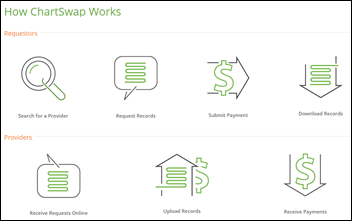 Their customers are requesting this type of integration and the ability to have their data flow easily. We partner at scale with a Salesforce, Clinical Care, or Brightree, for example, and provide a solution to all of their customers. The unique part about our platform is that once we build the connector or build an integration with one vendor, we’re able to rapidly deploy it again and again and again without the need for code. Time to value, especially from a marketing brain, is everything. The faster you can go live, the better. The longer it takes, the more money the organization is losing. These smaller-sized facilities that aren’t at the leading edge of technology are trying to find ways to streamline their data so that they can solve their business workflow problem and then maximize their revenues by automation. How does your social determinants of health functionality work? We are launching our social determinants of health application. We’ve built a fully-functioning application on top of Salesforce. Anybody who owns Salesforce, such as a payer or large provider, can download this application that we’ve built — when it becomes available in the next month or so — and provide social determinants of health within their Salesforce org. They’re not only automating their workflow with integration and utilizing Salesforce to have all their customer data in one customer-centered place, but now they will be able to remove the barriers of care to their patients through this application that they can automatically deploy within their existing Salesforce org. 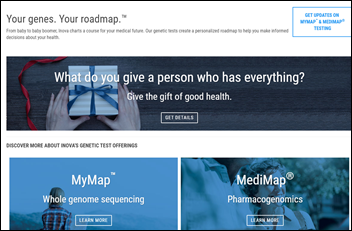 Salesforce made some healthcare-related announcements a couple of years ago, but I’m not clear what they are actually doing or who is using their product. How do you partner with them? They are obviously a very, very fast-growing company. They have a significant interest in the healthcare space. They’re are doing a great job of providing value to the customers from a business perspective and automating that customer-patient view. We partner with Salesforce to help the customers that they’re signing or customers that need integration. We partner with them to help automate those integrations and make them faster and make them easier to deploy, providing affordable solutions so that they can focus on what they need to focus on, which is obviously taking care of the patient. Salesforce enables them to market to their patients and to schedule their patients. The functionality of Salesforce in healthcare is extremely impressive. We’ve been happy to partner with them and are excited to see where that goes. What’s it like working with Salesforce, which was built on the concepts of openness and partnerships, compared to an EHR vendor? Some EHR vendors have been slow to recognize that their customers want to be able to have the data flow as it needs to and to get the reporting that they need easily. The goal isn’t to take the data out of the EHR or make the EHR any less important to the healthcare organization. The EHR is important for the success of the business from a healthcare side as well as the patient. The reputation of that openness of data is growing. EHR vendors are grasping the need and responding to what their customers are asking for, with integration and being able to have the data flow wherever it needs to. Obviously in keeping it secure and removing the identifiers and stuff like that. Salesforce is extremely secure. Bridge Connector is extremely secure, as well as the EHR. The core focus is taking care of the patient data and making sure it’s as protected as possible. The company has grown quickly in headcount, customer count, and funding, but some see the healthcare IT market leveling off to some degree. How do you see that growth continuing and what will drive it? We launched a year ago and we’ve raised $20 million so far. We had five people about 14 months ago and now we have 75 full-time employees. There’s such a need and so much customer demand for integration. Interoperability as a buzzword is more than just sending clinical data back and forth or patients having access to their medical records. 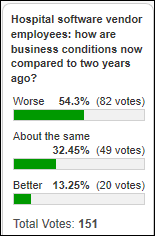 The problems exist with the business use case. The markets that we’ve targeted, such as hospitals, are at the leading edge of technology. We’re focused on the commercial space of healthcare. We are solving that business problem for those commercial vendors that can’t necessarily afford to spend money on a custom integration or developers building out integrations. They need is a rapidly deployable, affordable solution that generates immediate ROI. We’ve grown so fast because of that, how we’ve partnered, and who we’ve partnered with. The overall need in the marketplace for a solution like what we have is driving our growth. Our growth is pretty astonishing to me, as someone who’s been here since the beginning and saw the idea and where it has taken us. I think we are just getting started, to be honest. I think the growth will continue. We’ll continue to double in size. We’ll continue to rapidly increase revenues and customer counts and provide a solution that’s easily deployable to the masses over and over and over again, and at scale. We’re looking at hundreds of systems being rapidly deployable without the need for code over the next six to nine months. In healthcare, that solves a huge problem. While the market might be leveling off a little bit, we think it will hit another inflection point in the next six months, where we will just continue to scale rapidly. Healthcare is a semi-broken industry. Doctors need to focus on taking care of patients. A guy like my dad, for example, goes home every day after seeing 35-40 patients and types notes or does follow-up work on each patient. It’s an extremely draining task because of the need for notes or documentation, which are important, but there’s no way to easily do that. The faster that the healthcare market allows for full interoperability or full connections between systems without EHRs getting in the way, from a API being available or charging customers lots of money to be able to have these integrations. As the market keeps growing, there will be a continuing need to connect systems, make the data actionable, and let the business automate workflows, Otherwise, the healthcare industry is not going to get fixed. The way to fix it is to first solve the business problem, allowing System A, B, C, and D talk to each other. They can do that in every other industry in the world. Why can’t we do that in healthcare? As a company that has grown as fast as we have, we feel that over the next year, we can help provide that solution to the masses. Not just hospitals, not just large enterprises, but to a small doctor’s office so their system can talk to other doctors’ offices, or have it talk to their billing system without having to go to their EHR vendor and paying thousands of dollars on top of the actual integration costs. The goal is to be able to deploy this to the entire healthcare market, not just the enterprise. Censinet launches its health system vendor management platform and raises $7.8 million in a Series A funding round. Athenahealth will lay off about 200 employees across its offices as part of a reorganization that will integrate it with Virence Health. Bloomberg reports that Bain Capital is considering putting Waystar, the RCM vendor created from the 2017 merger of Navicure and ZirMed, up for sale. Hartford HealthCare will partner with Trinity College and the UConn School of Business to create a 12-week MedTech Accelerator program that will launch from Trinity’s campus this fall. HHS announces CMS Primary Cares, two value-based care payment models launching in 2020 that it says will cover at least 25% of Medicare beneficiaries and providers. Primary Care First, in which small primary care practices will be paid a fixed fee per patient per month, with bonuses for keeping them healthy and penalties if their patients are sicker than expected. Direct Contracting, for larger practices willing to go at risk for their overall Medicare patient spending. From Ex-Athena: “Re: Athenahealth. Laid off about 200 people today, including most of the hospital division. I think that’s a good indication of the future of the hospital product.” The company confirms that it is laying off “less than 4%” of its workforce (which would be about 200 employees) in a reorganization to integrate the former Athenahealth with Virence Health, two months after its take-private acquisition by Veritas Capital. The company did not list specific jobs or locations. Thanks to the several readers who gave me a heads up. Listening: the new, final studio album from the O’Jays, which includes everything I love about exuberant 1970s-era Philadelphia soul like “Love Train” and “Back Stabbers” (smooth vocals, touches of my beloved doo-wop background harmonies, tinkly guitar riffs over horns and disco keyboards, and mellifluous talking over the music to set the scene). They still have two members of the original five after 61 years. These old guys don’t mess around in giving their fans their best – Rolling Stone notes that they rehearsed for nine weeks –seven days per week, 10 hours per day – to prepare for their Las Vegas shows. The album is great and the group deserves historical appreciation that goes far beyond simple nostalgia. This is the perfect summer music for family-friendly picnics and beach trips that will get everyone subconsciously swaying and bobbing along, the most fun music I’ve heard in a long time. It thus earns my highest recommendation. Censinet launches its health system vendor management platform and raises $7.8 million in a Series A funding round. Founder and CEO Ed Gaudet was previously with Imprivata. Another reminder that US healthcare is a business – publicly traded American Addiction Centers operates call centers, a sales and marketing organization, and SEO-savvy websites that generate $22,000 annual revenue per client thanks to insurers who cover their services. They’ve been sued for leaving patients unattended who then died under their care, for which they blame short sellers of their shares. Amazon begins promoting its mail order pharmacy, as powered by its $1 billion acquisition of PillPack in June 2018. Frances Mahon Deaconess Hospital (MT) goes live on Meditech Expanse, with consulting assistance from Engage. 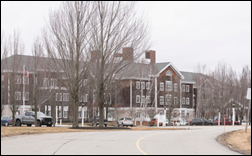 Cape Cod Healthcare chooses unified communications and contact center solutions from Avaya. Boston Children’s Hospital will offer medical second opinions to patients in China using More Health’s collaboration platform and network. HIMSS hires its former board chair Sebastian Krolop, MD, PhD, MSc (Deloitte) as chief operating and strategy officer. Washington University School of Medicine names Maria Russo (Kaiser Permanente) to the newly created position of CIO. 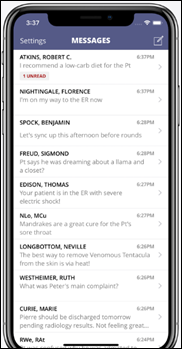 Relatient announces its Messenger two-way chat solution that allows provider staff to text patients in real time for patient engagement, making it part of its appointment reminder and broadcast messaging solution. The company notes that not only is chat the most patient-preferred communication mode, 90% of text messages from known senders are read within three minutes. NYU School of Medicine researchers and the research institute that developed Siri create an algorithm that can analyze audio interviews to detect markers of post-traumatic stress disorder that elude subjective human detection. It could confirm accuracy of the diagnosis that makes up one-fifth of all VA benefits claims, but also detect veterans with PTSD who won’t admit that they have problems. Other PTSD detection research is looking at measuring stress hormones in saliva. Deep users of real-time location systems urge other organizations to look beyond tracking functionality to data visibility, improved patient care, and increased efficiency, according to a new KLAS RTLS report. TeleTracking, CenTrak, and Midmark lead the pack, while Cerner and Airista Flow trail all other vendors dismally in satisfaction and actual use cases. Financial Times profiles startups that pay patients for their digitized data, such as wearables, and then offer it to drug and device manufacturers, researchers, and FDA. The interesting aspects of these business models: (a) the information doesn’t require de-identification because the patient and data recipient sign a contract covering the terms under which it can be used; and (b) the recipient pays the patient directly. AliveCor’s KardiaMobile personal ECG device earns FDA indications for bradycardia and tachycardia, trumping Apple by going beyond atrial fibrillation detection. Former CMS leader Andy Slavitt will keynote Arcadia’s Aggregate conference April 24-26 in Boston. Gartner recognizes Avaya as an April 2019 Peer Insights Customers’ Choice for unified communications. Collective Medical CEO Chris Klomp will speak at the 2019 Utah State of Reform Conference April 24 in Salt Lake City. Surescripts will exhibit at the Asembia Specialty Pharmacy Summit April 29-May 2 in Las Vegas. Datica CMO Kris Gösser will speak at the Seattle Health Innovators meetup at Cambia Grove April 24. Women’s healthcare company Kindbody raises $15 million in a Series A round that brings its total funding to $22 million. Emergency medical services software company ESO takes over North Carolina, South Carolina, and West Virginia state EMS data systems from the EMS Performance Improvement Center at the University of North Carolina. An NYU School of Medicine study finds that an AI tool can differentiate between the voices of veterans with our without PTSD with 89% accuracy. Harvard professor and Brigham and Women’s Hospital primary care physician Asaf Bitton, MD succeeds Atul Gawande, MD as executive director of the university and hospital’s joint innovation center in Boston. I’ve been working with a large provider group and recently spent some time with them in a retreat format. Although the group bills itself as a topnotch organization from a clinical quality perspective, there is a great deal of physician dissatisfaction. The EHR is a major target of complaints, so I was brought in to do some workflow mapping and to help facilitate the sections of the retreat where workflow topics were discussed. These are all paper problems that I suspect existed before the EHR, yet providers insist that the EHR is the reason they are working on charts at home. 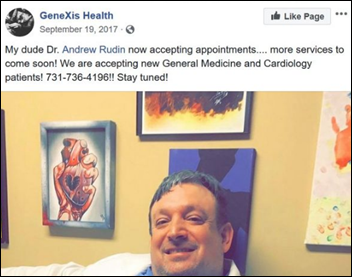 One physician I shadowed has his schedule blocked for 15-minute appointments, yet he consistently spends 20 to 25 minutes seeing each patient. He has a highly capable scribe and they work well together. However, he is always behind. Just doing the math, there is no way he is ever going to be able to get out of the office on time (nor will his staff) and he’s always going to have to do some work after hours. It wouldn’t matter what system he has. Until he can either figure out a way to see patients faster or is willing to adjust his schedule to match his actual cycle times, he’s always going to feel like he is under the gun. Physicians were frustrated by “missing results in the EHR” but failed to realize that it wasn’t that the results were misfiled, it was that the patient never had the tests performed. This is an issue that can be caught prior to the visit, either through pre-visit planning or an orders management process. Most of this frustration occurred when physicians were processing medication refills, which I would argue they shouldn’t be processing in the first place. They would be looking for cholesterol or diabetes labs so they could decide on whether to grant a refill or not, and were unwilling to task staff to do the hunting for them. One physician is handling refills on his patients constantly since he won’t give them more than 90 days’ worth of refills at a time. That might be a necessary strategy for a patient whose conditions are not well controlled or who has issues with follow up, but the majority of patients can receive refills for a year without risk. I discussed the number of organizations that successfully use refill protocols and the tools available to assist with ensuring patients are at goal before granting refills, but they felt that allowing anyone to approve refills other than the physicians themselves was “negligent.” We arrived at this conclusion halfway through the first day of the retreat, and it was all I could do to keep a straight face while I tried to figure out how I was going to get through another 12 hours with people that are not living in the real world. We did identify a number of true EHR issues, mostly around lack of use of shortcut techniques and provider-level configurations. More than 50% of the providers I had shadowed didn’t even have favorites lists in their prescribing profiles, so they were manually searching for every single medication rather than selecting from a short list of medications that they commonly prescribe. Although providers agreed it would be beneficial to have such a favorites list, most of them said they were unwilling to create them on the fly, but instead wanted someone to build them for them either after a chart audit or through shadowing. We discussed how that could be a self-defeating strategy, because as they begin prescribing new agents or if their prescribing habits change, they wouldn’t be able to add those drugs without spending the time to explain them to a staff member or spending the time to log a help desk ticket. 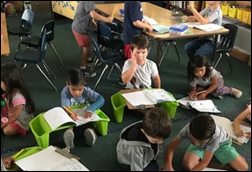 We also found some issues with their CPOE system, including some confusing test names, and they were willing to come to a consensus to streamline that feature. There were a number of issues on which we never reached resolution, but I did get to sit in on some of the sessions on non-operational topics so I could get a better feel for the culture of the group. There was an extensive review of their clinical quality metrics. Providers had previously received their reports only twice a year, but with the addition of the EHR, they began to receive them quarterly. At a previous retreat, they had asked for monthly reporting and were quite happy with it. However, it didn’t seem like anyone was willing to admit that it was only because of the “soul-sucking” EHR that they could ever have that level of transparency into their practice without spending a considerable amount of money on chart audits. I also sat in on a financial workshop where expenses and provider compensation were reviewed. The providers weren’t terribly receptive to the CFO’s explanation that they had higher-than-market physician salaries with lower-than-average staffing costs as a possible explanation for why the physicians felt they were overworked. Unless they’re willing to shift work to team members, they’re going to be doing it at home in the evening or at times they’d otherwise prefer not to be working. As an outside observer, it felt like the physicians were happier to spend the afternoon complaining about it rather than rolling up their sleeves and trying to find solutions since none of them were willing to take a lower salary for any reason. Although I do feel like we made some progress on a subset of quick-fix issues, I’m not sure this group is going to find its happy place anytime soon. I’m glad my role with them is limited and the engagement a short one although it was fun to be in the field after a long stretch at home. Do you have persistent “paper problems” at your organization? Are providers willing to help address them? Leave a comment or email me. Brian Robertson is CEO of VisiQuate of Santa Rosa, CA. Do AI and ML represent a game-changing opportunity for revenue cycle management? Absolutely. An annual research report by EMC and IDC indicates that the digital universe will contain 44 trillion gigabytes of data next year, with nearly a third of that data collected and stored by the healthcare industry, according to a Ponemon Institute study. Within this vast ocean of data, AI and machine learning are well equipped to act as the precision sonar to detect and solve business problems using advanced data-driven methods. Indeed, AI and ML are part of today’s buzzwords du jour, but few now question that it will play a role. We must now advance the conversation: how to get going and laser in on value. Let’s rewind to a time not long ago when we couldn’t blink without seeing a plethora of white papers on big data. They seemed to all contain the same message: “Big data has the potential to be a game-changer.” As the CEO of a company in the data analytics arena, we sometimes struggled with how to best communicate the power of big data to our clients. Our ultimate answer was to focus less on the intelligentsia and more on “get stuff done” (GSD) thinking. First on deck? Don’t get too caught up in the hype cycle. From a pure technology standpoint, it’s just not that hard. One of the benefits of back-office operations, as opposed to clinical departments, is easy access and availability of structured data. The harder part? Prioritizing business problems where a return on analytics (ROA) could deliver big value. Back to the ocean. Don’t boil it! Invest more time with your team thinking through what you’re trying to accomplish and what can deliver ROA/ROI. Let’s take something like denial management. AI and ML can help speed up the discovery of problems that are both acute and systemic. First, resolve what’s in front of you. Then go upstream where the real potential is. If you’re fixing the same problems repeatedly, solve that problem at its core. Automating variability by physician can help you better solve problems upstream. Maybe it’s a system glitch where a bill editor is not set up correctly. Inaccurate or incomplete payer edits often repeat month after month. Deeper trending insights can automate the illustration of consistent anomalies. This is where AI and ML become a competitive advantage, particularly when you stay focused on business value vs. the glitter of new tech. Start narrow and allow the algorithms do some of the heavy lifting. Purely repetitive process automation. Take a binary process and drive automation via robotic process automation (RPA) tools and methods. Enhance user or consumer experience. Chatbots can deliver an exceptional user experience. Why not leverage voice automation and have your chatbot send you the daily cash report for your commute home? Or a report showing slow-paying payers? Or the bad debt forecast? Deep data mining. Use anomaly detection on historical claim data to empower upstream decision-making. Leverage ML to see what’s going on with the patterns. Let the decision-making power get smarter every day. Done right, AI and ML will improve yield, increase velocity, and optimize FTE impact. Fail fast so you don’t lose precious time over-analyzing. Avoid the technology hype and focus more on business problems the technology can help enhance or catalyze. Train your staff. FTEs in repetitive roles will become obsolete — it’s just the reality of our future. We as leaders have a moral responsibility to train our talent. As Gartner often advocates, create learning pathways to enable your staff to become capable citizen data scientists. Give them a meaningful shot at surviving in the long-term. Lastly, pick three business problems. Go narrow and deep. but as deep as you possibly can. Then it’s time to grab a shovel and get after it. HHS opens Draft 2 of its Trusted Exchange Framework and Common Agreement for public comment. ONC will open a four-year, $900,000 per year funding opportunity for a non-profit to serve as the Recognized Coordinating Entity to oversee TEFCA’s Common Agreement for qualified Health Information Networks. Phase 3-4 construction at Cerner’s $4.5 billion Innovations Campus in Kansas City adds 777,000 square feet. Startups in Silicon Valley, particularly those with a social mission, are finding it easier to recruit disenchanted talent from big tech companies like Facebook and Alphabet that have suffered from scandal-induced negative press. ONC will present a webinar on Draft 2 on April 23. 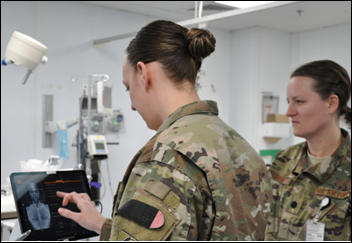 In related news, ONC announces that it will open a four-year, $900,000 per year (first year) funding opportunity for a non-profit to serve as the Recognized Coordinating Entity to oversee TEFCA’s Common Agreement for qualified Health Information Networks. Fix a problem using the most appropriate tools and methods, which may have nothing to do with technology. Companies desperately seeking a nail for their software hammer to pound always end up quietly slinking off in shame. Remember that you, your friends, and your family are all patients at one time or another. You probably wouldn’t want someone like yourself affecting their care with your technology tinkering. It’s tough to automate an industry whose key players (clinicians) don’t really buy into the idea of conveniently computer-amenable concepts such as evidence-based medicine, standardized practices, and reducing practice variation, especially when they are right. Medicine is half business, half science. Even those of us in the industry don’t really care which technology tools our doctors (or our accountants, or our carpenters, etc.) use – we judge them on the factors that, at best, are invisibly influenced by the technology they choose. Clinicians of all types rarely love hospital-mandated software because 80% of its functionality enforces rules set by their many overlords that add nothing to patient care and force them to enter data for someone else’s benefit. People and organizations, even those in healthcare (maybe especially those in healthcare) do whatever rewards them most personally as long as they don’t have to intentionally harm patients. It’s not as ethical and purely motivated as you see on medical TV shows. Don’t be fooled into thinking that medical practices (which are always for-profit) are less nobly motivated than theoretically not-for-profit health systems and insurers. All of them will find the money no matter where Medicare and insurers hide it. The only thing that matters that long-term outcomes are improved, patient access is made easier, or costs are reduced. Everything else is a nice-to-have at best. Do patients and your business a favor and find some other profit opportunity if you can’t address these issues. Two-thirds of poll respondents spend 1-3 hours each week reading healthcare and healthcare IT news, which is plenty of time to catch up on the latest news, rumors, and opinions on HIStalk (maybe 30-45 minutes of skimming per week, tops) plus whatever else is out there. New poll to your right or here: Will Cerner, Epic, and Meditech face any new health system EHR competition in the next 10 years? If so, from whom? A lot of people (admittedly, most of them clueless) seem to think that EHRs are dinosaurs that are in imminent danger of being felled in their tracks by a Silicon Valley-launched asteroid and are planning an after-party in which a replacement product suddenly sheds all the unpleasant functionality (coding, billing, documentation) in giving clinicians a fun, rewarding system written just for their needs that will free them from the electronic shackles created by the people who provide their incomes. Those whose deep psychological insight allows them read between the lines I write might detect my skepticism. Thanks to Prepared Health for upgrading its HIStalk sponsorship. The company’s EnTouch Network makes it easier for patients to stay healthy at home by connecting them with providers, caregivers, and payers. 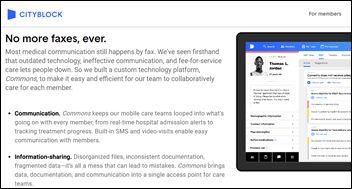 Health systems use the platform to stay connected to referral sources, involve the patient’s caregivers in their care, receive real-time alerts of changes in risk or care setting, and monitor for fraud and abuse via GPS-powered visit verification. The co-founders have a long industry history going back to the early days of Medicity, which I should mention was HIStalk’s first-ever sponsor back in 2005 or so. The big company news this week is that Jefferson Health chose Prepared Health its digital technology partner for post-acute and transitional care for its 14 hospitals. Haven opens a New York City office to attract technology talent, according to a LinkedIn post by its CTO. Open positions — which are described with just a generic job title — include clinical, data and analytics, product, and technology. The Kansas City business paper provides an update on Phase 3-4 construction at Cerner’s $4.5 billion Innovations Campus, with the latest efforts adding 777,000 square feet. Campus construction will be completed in 2025 with space for 16,000 employees. You have to wonder if this was a bad idea (at least in the absence of a reliable crystal ball when it was announced in 2016) given the company’s subtle retrenchment for what seems likely to be a tougher haul, which might also be true of Epic. Several Blue Cross Blue Shield plans are sponsoring ACOs and opening their own primary care practices and urgent care centers to reduce the use of expensive hospital care. I hadn’t checked NantHealth’s share price lately – it is $0.79, valuing the company at just $86 million and no doubt annoying those IPO-day buyers who in mid-2016 paid $21 per share (now sporting a 96% haircut). Shares of the other health IT train wreck Castlight Health are down 91% from their IPO day close in March 2014. It’s always good to remember an inviolate Wall Street rule – buying company shares early means that insiders who know way more than you are happy to dump shares on you at the price they have set. David Bean (Complete Merchant Solutions) joins Prepared Health as SVP of sales and marketing. NYC Health + Hospitals brings Epic live at 19 more locations, increasing its total to 50 and taking the $1 billion project it calls H2O past the halfway point of 45,000 users. 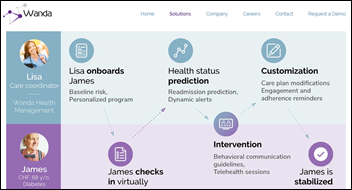 MDLive launches CareLink, a telehealth program that helps health plans and systems improve quality metrics via increased member engagement and lower cost. Optima Health (VA) is a pilot site. Weird News Andy will love this. An ambulance headed for a hospital ED with a patient whose heart is racing at 200 beats per minute restores normal rhythm when the ambulance hits a pothole. Formativ Health will demonstrate its Patient Engagement Platform at the NAHAM annual conference April 23-26 in Orlando. Lightbeam Health Solutions will exhibit at NAACOS Spring 2019 April 24-26 in Baltimore. Vyne Medical, Experian Health, and Relatient will present and exhibit at NAHAM April 24-26 in Orlando. 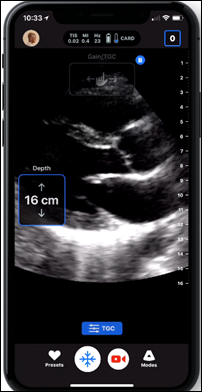 Mobile Heartbeat will exhibit at the 2019 LONE Spring Conference April 25-26 in New Orleans. Clinical Computer Systems, developer of the Obix Perinatal Data System, will exhibit at the AWHONN Colorado State Conference April 25-26 in Colorado Springs. CloudWave partners with Nutanix to bring the first certified health information solution to healthcare organizations running Meditech. Redox will exhibit at the AWS Healthcare & Life Sciences Symposium April 24-25 in Boston. Surescripts will exhibit at Matrixcare Directions 2019 April 24-26 in Nashville. T-System will exhibit at the 2019 EDPMA Solutions Summit April 28-May 1 in Scottsdale, AZ. TriNetX CMO Manfred Stapff, MD publishes “First-line treatment of essential hypertension: A real-world analysis across four antihypertensive treatment classes” in the Journal of Clinical Hypertension. Voalte will exhibit at the NC HIMSS Chapter Annual Conference April 23-25 in Raleigh. Vocera will exhibit at the Minnesota Organization of Leaders in Nursing 2019 Spring Conference April 25 in Brooklyn Park, MN. IBM halts sales of Watson for Drug Discovery due to low demand. CB Insights reports failed blood-testing company Theranos was awarded five new patents in March and April, all filed between 2015 and 2016. Northwell Health (NY) opens an Emergency Telepsychiatry Hub to serve EDs in New York City, Long Island, and Westchester County. The company says it will intensify its focus on clinical development. 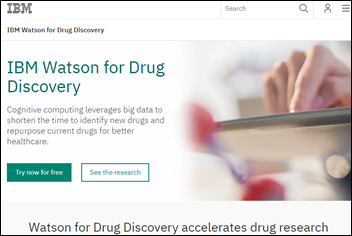 The Watson for Drug Discovery web page is still active, including testimonials from Barrow Neurological Institute. 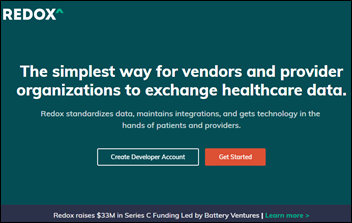 Healthcare data integration vendor Redox raises $33 million in a Series C funding round. It has raised $50 million since launching five years ago. 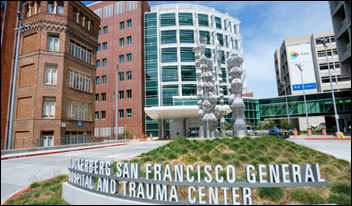 EMV Capital acquires San Francisco-based Wanda, a clinical decision support company focused on preventing adverse events. After merging last year, healthcare consulting firms HealthInsight and Qualis Health rebrand to Comagine Health. HealthInsight CEO Marc Bennett has assumed leadership of the new company. The Theranos saga just won’t go away. 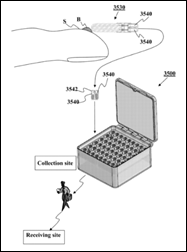 CB Insights reports the company was awarded five new patents in March and April, all filed between 2015 and 2016. Theranos founder Elizabeth Holmes, meanwhile, is preparing for her day in court. Charged with several counts of wire fraud and conspiracy to commit wire fraud, she has filed a motion in federal court to to force prosecutors to hand over thousands of communication records between the FDA, CMS, and Wall Street Journal reporter John Carreyrou, whose reporting helped bring the company’s fraudulent activities to light. A trial date has not been set, given the 17 million documents federal prosecutors must sift through to build their case. Tom Niehaus (TJN Advisory) rejoins CTG as EVP of North American operations. White River Health System (AR) promotes Jeff Reifsteck to AVP/CIO. EarlySense names Matt Johnson (Sowell & Co.) as CEO. Robert Fosmire (Kareo) joins Greenway Health as SVP of customer success. Sentara Healthcare (VA) selects PACS software from Mach7 Technologies. 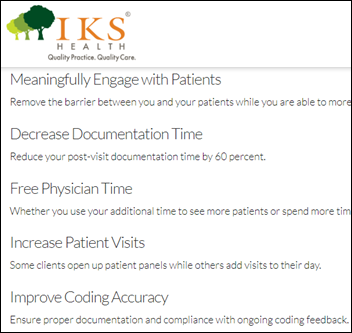 Prisma Health (SC) will implement patient access and provider directory technology from Kyruus. 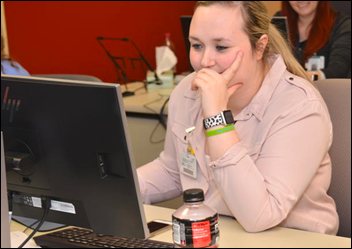 After more than a year of training led by a core team of 20, Carris Health (MN) will go live on Epic at six facilities next month. Best Buy begins offering TytoCare’s at-home telemedicine kit online and at select stores in Minnesota. 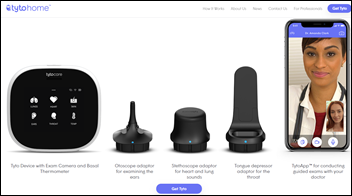 The TytoHome kit retails for $300 plus the cost of a virtual visit with partners that include American Well, LiveHealth Online, and Sanford Health. 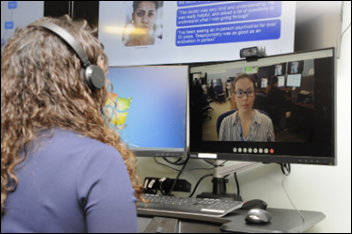 In New York, Northwell Health opens an Emergency Telepsychiatry Hub to serve EDs in New York City, Long Island, and Westchester County. The hub’s 35-member team expects to conduct 5,000 consultations this year. A new KLAS report on enterprise resource planning systems (HR, finance, and supply chain) finds that cloud-based systems are attractive and organizations are willing to consider them even if it means replacing their incumbent vendor. 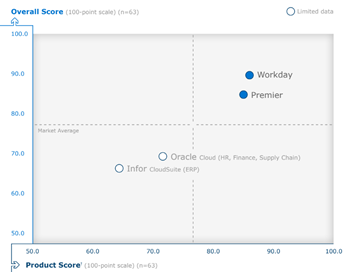 Workday leads the field despite gaps in supply chain functionality. Infor and Oracle offer newer, lower-rated products; earn client criticism for not taking an active lead during implementation; and have a significant percentage of customers who say they wouldn’t buy those products again. 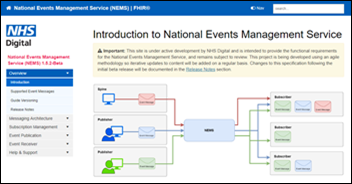 In England, the NHS develops the National Events Management Service, a digital personal health record for children that parents may use in place of the traditional paper version they are expected to bring with them to all pediatric appointments. The new service also features real-time messaging capabilities for birth notifications, address changes, and change-of-practice notifications. The communications director at Northern Light’s Acadia Hospital in Maine mistakenly emails a spreadsheet containing the names of 300 patients with Suboxone prescriptions and those of their providers to a reporter at the Bangor Daily News. The spreadsheet was an attachment buried in a chain of emails between the hospital employee and the reporter, who was developing a story on the the availability of Suboxone – a drug given to patients battling opioid addiction – in the Bangor region. The hospital’s privacy lapse has, ironically, made the paper’s pages. Columbia University (NY) reminds medical staff of the importance of its upcoming transition to Epic, which will encompass converting aging systems to the new or upgraded Epic software across Columbia, Weill Cornell Medicine, and NewYork-Presbyterian facilities. 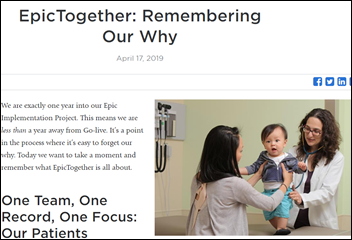 “We knew staying the course was not an option,” said Jack Cioffi, MD, president of ColumbiaDoctors and an executive sponsor of the EpicTogether project. “The pain points we feel now with CROWN and SCM will fade with Epic. That’s not to say we won’t experience new ones these next nine months, but we will be able to better address and fix them. We will have a more efficient, comprehensive system to support us in delivering the best care possible.” Rolling go-lives will take place between 2020 and 2022. Elsevier’s new Transition to Practice platform helps retain newly licensed nurses and build their confidence and satisfaction. EClinicalWorks and Imat Solutions will exhibit at the NAACOS Spring 2019 Conference April 24-26 in Baltimore. Imprivata and Kyruus will exhibit at NAHAM April 23-26 in Orlando. Solutions Review interviews InterSystems Director of Product Management Jeff Fried. 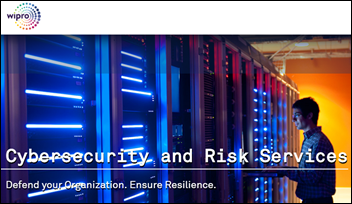 Vocera receives an Authority to Operate from the DoD, extending the potential purchase and deployment of its Vocera Badge to facilities in the Air Force and Navy. Phynd Technologies migrates its Provider 360° platform to AWS, has partnered with the American Board of Medical Specialties, and joined the Drupal Association. The largest US health insurer, UnitedHealth Group, has added its critique to the Medicare for All proposals currently being debated in Congress. We’re going to hear about this for the next year and a half, at least through the next presidential election, so I’m not surprised they’re putting their two cents in. Medicare covers approximately 60 million people and UnitedHealth’s products cover nearly 50 million, so they conclude that Medicare for All would cause “wholesale disruption of American healthcare.” I’d like to remind the CEO making the statement that there’s more to the Americas than the US and we should be looking at many nations’ healthcare systems as we try to find a way out of our own mess. UnitedHealth posted revenues of $226.2 billion last year through insurance, physician practices, consulting, and pharmacy benefits operations. Medicare for All, or any universal coverage, plan would likely take a bite out of those revenues. In the patient care trenches, I have a bird’s-eye view of the issues caused by employer-based health insurance. Patients staying at jobs they hate where they are abused because they are afraid of losing health coverage, particularly for pre-existing conditions? Check. Patients with complex medical conditions staying in abusive relationships because the spouse holds the coverage and they can’t afford it on their own? Check. Patients suddenly losing coverage due to downsizing, and not being able to afford individual plans? Check. I saw all three of these this week. A discussion of the cost of care was part of the urgent care visit. Members of Congress need to walk a mile or two in their constituents’ shoes before making decisions on this complicated issue. Even the concept of Medicare for All means many different things depending on whose proposal you are looking at. 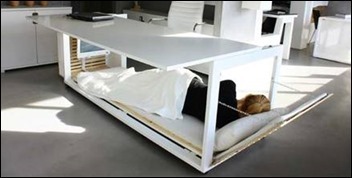 That’s how I found myself sitting across a conference table from a “lab interface team” who was supposed to be helping create some custom orders management content for a boutique practice. As we were in the Motor City, it seemed that my team was entirely populated by former auto industry programmers and technicians. Confident in their ability to use algorithms to free the physicians from mundane data management, they had designed a flow for laboratory orders and results management and wanted my sign-off. Unfortunately, they had no idea of how laboratory flags work or any concept that a lab that is technically abnormal might be perfectly fine for a given patient, or that one that is normal range might be bad for a given patient. The idea that results need to be interpreted in context not just based on normal vs. abnormal was a new one to this team, which appeared hastily thrown together by the hospital, which had acquired said boutique practice without really thinking it through. 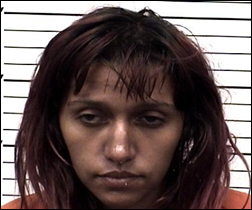 Did I mention that they also didn’t know their OBR from their OBX from the proverbial hole in the ground? The look in their eyes at having a physician school them on the nuances of being an actual lab interface team was priceless. I left the meeting suggesting that perhaps they should learn something about HL7 capabilities and scheduled a discussion with their director about the team’s ability to actually get this project done on any kind of useful timeline. I don’t doubt that non-healthcare people can learn and become healthcare people, but you have to at least understand the problem and the business case before you try to create a technology solution. I’ll be earning my money with these folks, for sure. From Jimmy the Greek: “RE: Hide the women and their uteri….” Jimmy shared a Washington Post article covering health-monitoring app Ovia, which sells intensely personal (although de-identified) data to employers that include the app in company benefits packages. We all know how easy it is to re-identify that data, so it caught my attention. The app collects information on user mood, bodily functions, sexual activity, and ultimately labor and delivery. The article mentions a woman who was using the app in the delivery room to upload data. Were I not a hypothetically swinging single, perpetually 29-year-old clinical informaticist, using an app when I should have been contemplating the perfectness of my baby and his amazing existence would be appalling. Employers can see aggregated data on health risks, question searches, finances, and return-to-work plans. Depending on the size of the company it might be easy to figure out exactly what employees are documenting. Users are also exposed to targeted advertising for dubious products, including nutritional supplements and special cleaning products. Privacy experts are worried that employers could modify benefits based on projected costs or that discrimination may occur against women seeking pregnancy. Not to mention that some coercion may be involved when companies pay workers to use the app as mentioned in the article. As someone who previously provided maternity care and delivered over 150 babies, I’m also concerned at the psychological ramifications of this level of tracking in pregnancy. It’s a scary enough time for mothers without having their every move quantified. There is one popular pregnancy guide out there that I actually recommended the mothers under my care should avoid. It included recommendations that shamed mothers who weren’t baking their own whole-grain muffins and said that pregnant women shouldn’t use microwave ovens because of unknown risks to their babies. The so-called “femtech” market is apparently big business, slated to hit $50 billion by 2025. Ovia also claims reductions in premature births and other outcomes, but the data is from an internal return on investment calculator rather than from appropriately constructed peer-reviewed studies. The company makes no secret that it’s delivering content that helps reduce medical costs and encourages women back to the workplace. While researchers are tempted by the availability of large data sets, they’re concerned about the applicability of the data to actual research. The article mentioned a number of other women’s health apps, including period trackers and fertility trackers. I must admit I was woefully unaware of the size of that market segment. I’d like to see women be better educated about their bodies, but I hate to see some of these apps positioning themselves as something to help “demystify” normal biological processes. If you had a daughter, would you encourage or discourage her from using apps like these? Would you use them yourself? Leave a comment or email me. Health data integration vendor Redox raises $33 million, bringing its total funding to $50 million since launching five years ago. Elizabeth Holmes files a motion in federal court to force prosecutors to hand over thousands of communication records between the FDA, CMS, and Wall Street Journal reporter John Carreyrou. 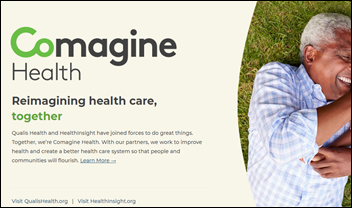 After merging last year, healthcare consulting firms HealthInsight and Qualis Health rebrand to Comagine Health. I asked provider IT professionals to weigh in on this question, whose genesis was an outsider’s assessment via an HIStalk comment: do we health system IT people automatically dismiss potentially disruptive technologies (such as AI) because we are too entrenched or too well rewarded by the status quo? The edited responses are below. Thanks to those who offered their excellent insights. Outsiders have trouble with understanding the speed at which physicians want to move. They are one of few occupations still paid by the piece, not by the hour or a salary. Every second they are waiting for information to populate on a screen, the screen to flip, or the log-in sequence is a lot of money to them. Until you have a database faster than MUMPS, don’t waste my time. For that reason alone, blockchain is a non-starter. I’ve been involved in minimally transformative ideas and projects that are shot down due to the (over) regulatory environment. A lot of industries are heavily regulated (airlines and nuclear power come to mind), but their regulations are generally around safety. In healthcare, the regulations are around both safety and the prevention of entities over-profiting (Stark). Sometimes these regulations contradict each other and the outsider only understands some of them. I believe any technology that puts information and decision-making into the hands of the patient has the potential to be disruptive. This will not be a get-rich-quick application, Most people requiring our services are older and even less receptive to change than outsiders would perceive us to be. I think we probably are resistant to AI, but not solely because of incentives. There’s too much vaporware out there and it takes a lot of time to weed through the good and bad, with the good often being no better than the best systems already provide at the added cost of an AI system and/or of nominal value. If they want to blame someone, blame IBM, who taught us that you need to spend a year training your commercial software only to have it continue to provide inaccurate info. To be fair, it is providers that control the data that makes AI training work and our reluctance to share is probably an issue. On the other hand, Google did manage to wrestle millions of records away from the NHS and they still have nothing to show for it. It’s the pot calling the kettle black. Everyone wants into the healthcare cash cow, but no one wants skin in the game when it comes to actual outcomes, and that includes providers. Take a look at the technology adoption lifecycle. We’re still in the innovator phase and they’re not yet screaming from the rooftops to get on board. Technology adoption takes 10-20 years, even for consumer products (many of which in recent years had the benefit of being “free”). Why should they be expecting instant results? We’re dragging our feet on AI when it comes to digital imaging so we don’t tick off providers. We provide a lot of exceptions where it may not work, yet we don’t fire the entire medical community when we have a misdiagnosis rate of 10%. What disruptors don’t understand is that their solutions are typically unaffordable in the long term for health systems that like to spend more money building buildings than they do to support their existing IT infrastructure. The new shiny object may get some attention and might even get an executive to bite, but at the end of the day, it falls on IT to implement, support, and maintain that disruptive solution over time, all while our budgets shrink due to “cost controls.” The disruptors must demonstrate real-world (not hypothetical) ROI and in reality be at minimum a budget-neutral solution in order for us to take them seriously. 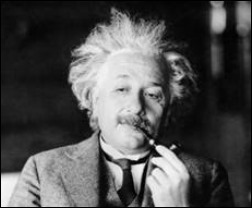 Treating people, while doing no harm, is an art in addition to science. Humans are not machines made to exacting specs that benefit solely from repeatable process. The chance of patient harm or malpractice is real with bleeding edge technology. Everyone I know on the health IT side is very aware of our limitations and looking for any way we can help out the providers. AI/ML, although promising, so far has limited proven use cases. That, coupled with a very high barrier to entry due to the skills required, means that AI/ML often gets lumped into the “maybe, if we have money left over” part of the budget. Not a lot of healthcare organizations ever get to make it to funding that portion of the budget. Trust me, if you proved your ML model could improve clinical care and/or save lots of money, organizations would adopt it in a heartbeat. If you haven’t proven its value, then why would you expect us to adopt it? Honestly, it sounds like a comment from someone who runs an ML-centric company and can’t find a partner to provide the training for their model. That’s a risk and investment for the healthcare organization, and typically the vendor gets most of the benefit if it works even though they tapped the provider’s knowledge and training to make the product. If you really want us to do that, show up with a fully-funded project, including our expenses, and we’ll consider it if you give us partial ownership of the successful project. At this stage of the game, that’s the only deal that makes sense. You can kill people with the wrong tech, bad tech, or badly-implemented tech. As a clinician who supported clinical decision support, it is easy to talk it, but harder to prevent the medical misadventures that may happen to said Heath IT Outsider’s child. Speaking as a provider who works in the vendor space, we prefer to wait and see what works in other industries before taking a risk and sinking big development dollars into expensive new solutions. Exhibit A: cloud computing, which went mainstream with Amazon Web Services in 2006, but only in the last few years have we seen this model take off in our industry with web-hosted EHRs. That’s why we’re always 15 years behind. None of the established players wants to spend $500m to develop a buzzword concept (remember “big data”?) that will fold or go out of fashion next year. I’m guessing that comment came from a former Elizabeth Holmes devotee. Health IT outsiders have a long history of declaring the US health system stupid, launching a startup, then quietly giving up a year later. If our outsider had any real ideas, they’d have products in the marketplace making money. Optum, Health Catalyst, Arcadia, and many more aren’t waiting around for provider permission. They are innovating, pushing the quality-cost envelope, and growing. I don’t know if AI will truly move the needle positively in healthcare any time soon, but I’d have to hear a great conspiracy theory to believe provider IT people are protecting their EHR vendor from AI, open APIs, or any other technologies that would make the customers happier and their jobs more fulfilling. As a health system CIO, Individuals who are flabbergasted by the risk-averse nature of the healthcare industry as a whole do not fully understand nor appreciate the current healthcare system business model. It has a customer (patient) market that is shrinking. It is becoming more segmented, with alternative specialized scope limited services. The net revenue opportunity per patient is shrinking as operating costs (especially labor and regulatory related) continue to increase. Entrepreneurs by their very nature take financial risks if they see an opportunity for a high financial return when no one else does. There is a ton of cash flow within the healthcare industry, but no new opportunities for significant cash infusion The customers (patients) do not have any opportunity to shift their spending from one source to another. The industry players are protecting their revenue stream as best they can. Most healthcare providers and hospitals do not have an entrepreneurial spirit, nor do they have the financial reserves to take on the financial risks. It is also important to note that the financial industry and venture capitalists do not invest in healthcare providers nor hospitals. The risk is just too high for no foreseeable reward. Thus, it is not surprising at all to me that “health IT outsiders” looking to be disruptors are disappointed when they are not embraced with open arms. I predict that someday there will be disruptors who will change the business model itself with a better SYSTEM of mousetraps rather than just one highly effective mousetrap. I don’t see provider IT people as being entrenched or particularly well rewarded. Rather, we insiders are pragmatic. Too often we’ve been sucked in by the breathless exuberance of the purveyor of the next big thing that will revolutionize healthcare, only to realize that it’s not nearly what it’s cracked up to be. Or worse, we take the blame for it not turning out to be what it was purported to be. Technology is evolutionary, not revolutionary. Incremental advances by potentially disruptive technologies – once field tested – make their way into the mainstream. Let’s not forget that a mere 15 years ago, EHRs seemed revolutionary. Look at FHIR. 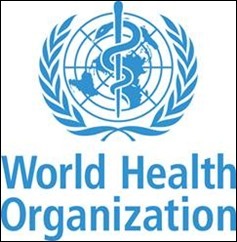 The bright shiny object du jour which will solve all problems in the delivery of healthcare. Will this technology magically address every issue? Absolutely not. Or will it even address any of the issues better than some long-existing technology? I’m on the fence. Is FHIR really even disruptive? Nope. Interfaces have been around since there was more than one computer. But by being a pragmatist and viewing FHIR as an incremental improvement, I get painted as a curmudgeon. I think there is an extreme sense of being jaded from a long list of previous failures. 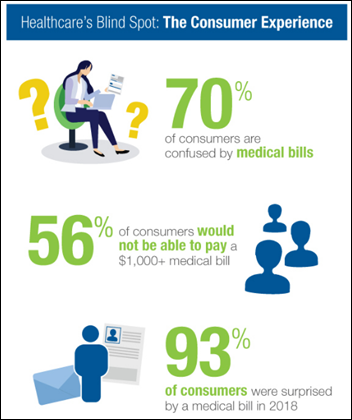 People often don’t understand the complexities of healthcare, the countless variations, the messy data, the fickle users mixed with the extreme regulations of privacy and billing. Add all of that to hospital bureaucracy, understaffed IT departments, and low-salaried (and therefore often mediocre) IT staff and you have more sub-optimal systems than you can count. Healthcare doesn’t operate financially as other industries. I’ve spent the majority of my career in community hospitals and it is difficult for them to sink money into disruptive technologies when you’re payer mix is 40-60% government. We would love to invest in disruptive technologies, but when replacing an EMR originally installed in the mid-90’s causes a financial burden, what’s a girl to do? What’s the evidence of benefit to (a) patients and their caregivers first; (b) physicians, nurses, and other bedside technical caregivers second; and (c) then everyone else? As a 40+ year emergency physician and 20+ year medical informaticist, let’s see the evidence that AI and other disruptive technologies deal with the chaos of patient variability and sensitivity to initial conditions better than the competent, compassionate physician. This is healthcare. Ultimately, people’s live are literally on the line. There is no room for alpha or even beta level products in a production environment. If AI can do my job and help save lives, so be it. But that is not now and it is not anytime soon. The workplace dynamics of provider-based healthcare are different than any other industry. Who is the customer? Is it the patient, doctor, nurse, CFO, payer, government, or someone else? Or all of the above? Outsiders have not not been able to solve that riddle yet, although things may be changing with consumerism on the rise. Also, in my long experience as a CIO (25+ years), it is rarely the CIO who calls the shots. Hospital CEOs are notoriously risk averse with a huge herd mentality when it comes to IT. The history of the industry is littered with multiple failures of so-called IT solutions. In addition, CFOs control the purse strings, and if they do not control IT, are out to hamstring it. I have seen several outside CIOs try to “fix healthcare” and they have all failed to recognize the unique cultural characteristics. Healthcare technology is not like trying a bunch of free or cheap apps on your personal IPhone to see if any generate major or disruptive improvements. Instead, with healthcare technology, there are significant upfront costs (often with no guarantees of benefit or acceptance), significant personnel costs for installation and training, significant changes to workflow, and potential for unintended consequences, including inefficiencies, lost revenue, and actual harm to patients if it doesn’t work correctly. Indeed, I’d be concerned that anyone who jumps on the bandwagon too quickly is impulsive and reckless. Add to that all of the half-baked snow jobs that we’ve been sold over the years and it’s no wonder that HIT providers (and users) are cautious and skeptical. I welcome the challenge, but I am more often than not faced with those who do not want to accept that they don’t know the extent of what they DO NOT KNOW about the unique specifications of the industry. If only the industry was established in the status quo. Most who make such proclamations dismiss the history to the why and how we are where we are. Case in point — the Jim Cramer declaration and folks like Chrissy Farr who just pass along without doing the basic journalistic research on Epic. If they came about it with some sort of due diligence, it might be a different story. Starboard Value CEO Jeff Smith believes Cerner can increase its operating margins by as much as 9% within the next 18 months if it meets unspecified targets. 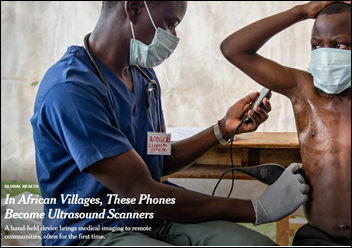 The FDA-approved Butterfly IQ device transforms a smartphone into an ultrasound scanner, a capability that is having a huge impact on pubic health efforts in Africa. Politicians struggle with the privacy and legal issues over changing patient participation in the HIE operated by Vermont Information Technology Leaders from opt-in to opt-out, which VITL says is needed because low participation has caused low HIE usage. Provider management, credentialing, and payer enrollment technology vendor Symplr acquires competitor IntelliSoft. Direct-to-consumer telemedicine company Ro raises $85 million, prompting VCs to increase its valuation to $500 million.